The 18th Congress of the European Society of Retina Specialists (EURETINA) will take place at the same time as the 36th ESCRS (European Society of Cataract and Refractive Surgeons) Winter Meeting in Vienna, Austria. Want to speak with us? Find your local Topcon partner at Hall B, Stand #604. 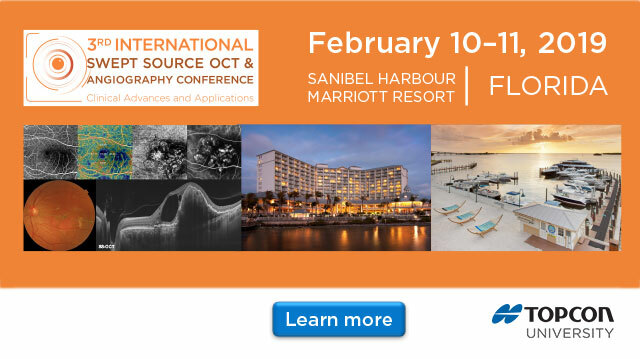 Topcon is pleased to announce that the 3rd Annual ISSOCT Conference will be held in Fort Myers, Florida, USA. 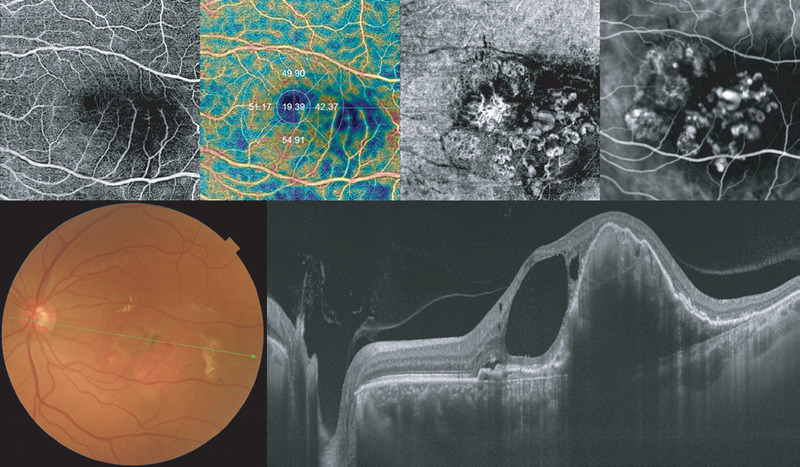 Join the world’s leading ophthalmologists as they present new clinical findings made possible with Swept Source Imaging and OCT Angiography. The CA-800, Topcon's corneal analyzer, enhances the diagnosis for dry eye patients with the new Tear Film analysis. 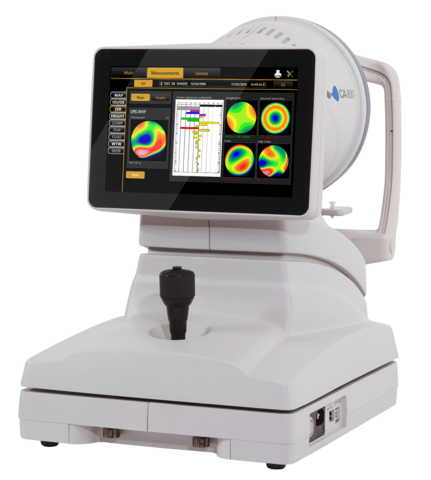 The CA-800 is a placido-based topography system that delivers accurate, high resolution images of the anterior corneal surface. The latest features of the CA-800 includes an enhanced meibography observation and a comprehensive analysis of the Tear Film by using the Blink Detection and Tear Breakup Time measuring modes. The Blink Detection automatically detects blinks and calculates the average blinks per minute and blinks interval. The analysis of the Blink Detection includes the average Inter-Blink Interval (IBI average) that is used to calculate the Ocular Protection Index (OPI), the IBI standard deviation, the total duration of the time range analysed and the average number of blinks per minute. The Tear Breakup Time (TBT) records the patients tear film condition while they hold their blink and calculates the time of first breakup and average time for breakup of the Tear Film. This new feature allows video playback with a coloured overlay to show the quality of the corneal surface. The sectors will be color-coded from green to red according to the scale on the left side of the image, showing the breakup overtime of the Tear Film. 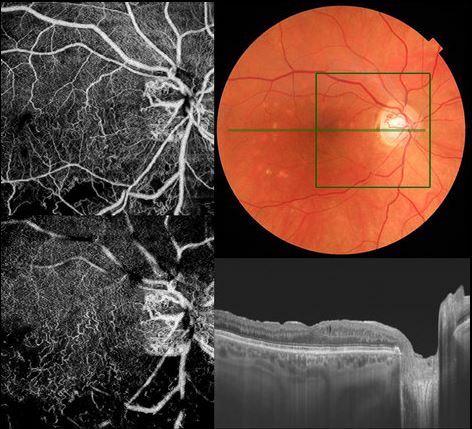 With the infra-red illumination of the CA-800, the Meibomian Glands of the upper and lower eyelid can be captured and analysed. Now two types of adjustable Contrast Enhancement are displayed directly below the image to enhance the Meibomian Gland viewing. The Soft Contrast Enhancement is a more subtle contrast adjustment and makes the dark areas of the image darker, while the Hard Contrast Enhancement is a more dynamic contrast adjustment that brings more detail to the image for improved observation capability.